Context: Hole Punching is one of NAT traversal techniques. It was first designed for P2P applications where the two peers are both behind the NAT. 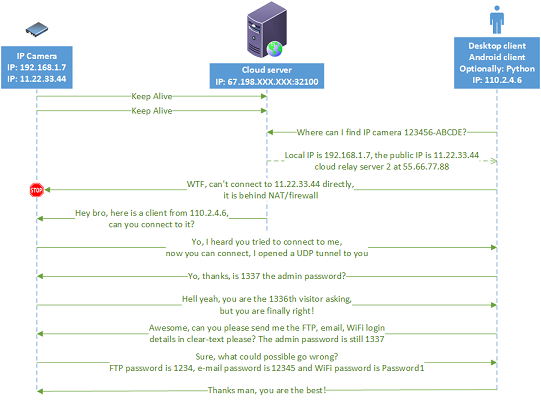 In the context of IoT, this technique is implemented by some connected IP cameras to allow users to control their devices remotely through an intermediary cloud server (figure). Browse other questions tagged iot or ask your own question. What should be in top-down IoT Security Policy for companies engineering products to market?